Touring and Camping @ Pencnwc01545 560479work Touring & Camping ParkPencnwc Holiday Park is a holiday, touring and camping park that has been family-owned for over 30 years. The park is ideally situated just 2 miles inland from the pretty fishing village of New Quay with its harbour walls and safe beaches, rugged cliffs and secluded coves. 20 miles to the North is Aberystwyth and to the South is Cardigan. Take time to enjoy the excellent site facilities which include an heated indoor pool or just relax in the licensed clubhouse featuring regular entertainment. Showers, Toilet/Washing Facilities, Shaving Points etc. The holiday park is very attractive with flower beds, shrubs and trees everywhere, and the park owners are very proud of the reputation as one of the prettiest parks in Wales, with extremely good facilities. The clubhouse is second to none, providing refreshments, food and light entertainment. 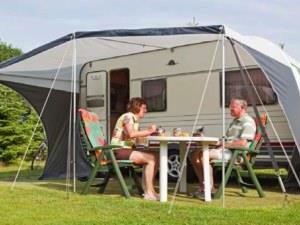 Pencnwc Holiday Park is a holiday, touring and camping park that has been family-owned for over 30 years. The park is ideally situated just 2 miles inland from the pretty fishing village of New Quay with its harbour walls and safe beaches, rugged cliffs and secluded coves. 20 miles to the North is Aberystwyth and to the South is Cardigan. Fast food available for take away. Children welcome from any age.